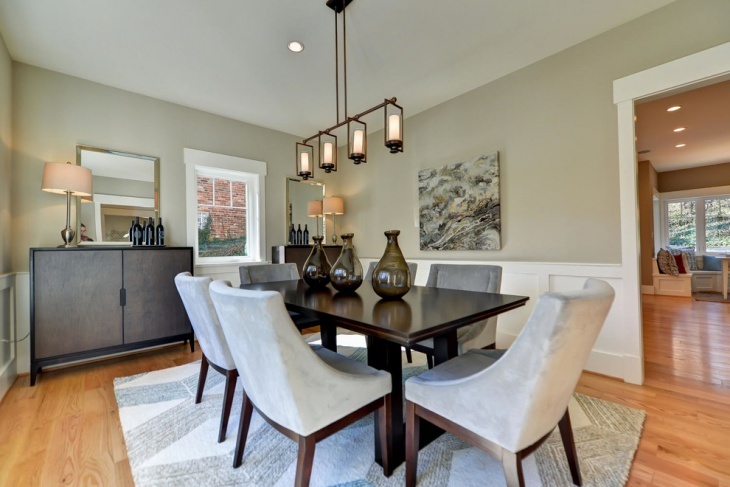 What is the best way to illuminate a dining space? For starters, it should be bright, colorful, vibrant, and create a mood that makes your food more palatable. 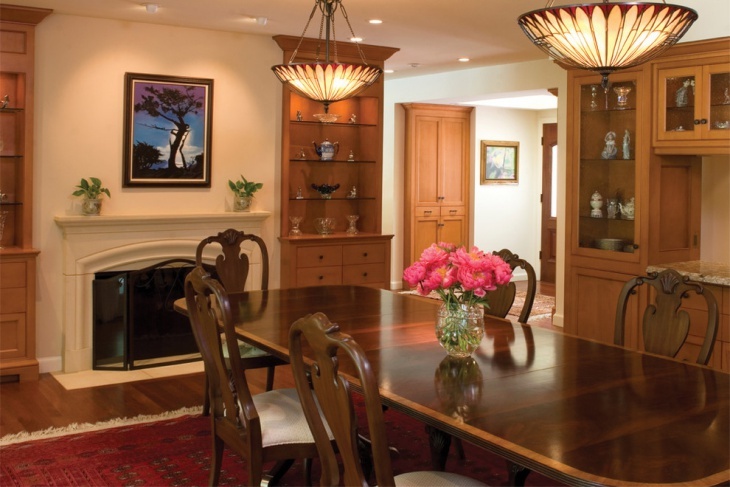 To achieve this end, you can choose from a variety of elegant chandeliers, pendant lighting, recessed lighting or any other form of illumination. Depending upon the overall décor scheme, you can choose to create a mood that not only makes the space more fun but also more functional. Here are some great examples to pick cues from. 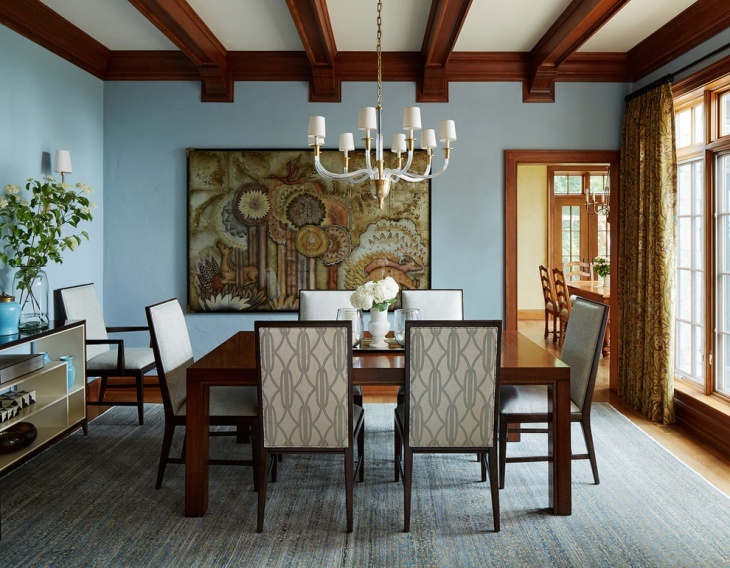 Depending upon your overall décor scheme, the dining room can have a single point of illumination or various lighting installations to achieve the end. The size and layout of your room will also matter in this case. 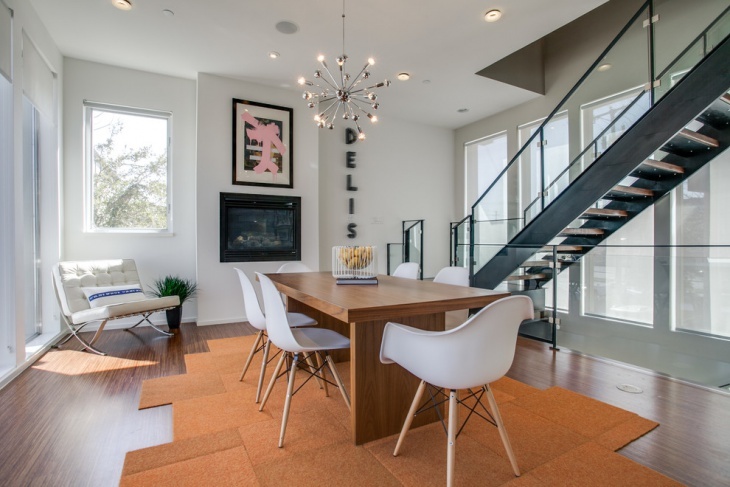 As shown in this example, the largely contemporary architecture is well complimented by a unique LED chandelier. Ceiling lights are available in a variety of designs and forms. In this example, the illumination is achieved by a unique disk-shaped arrangement. While they are not the only means of lighting up the whole room, they do highlight the mood required. For homeowners trying to establish a romantic mood in their dining room, this chandelier would be among the best ways to go about it. Creating a look representing a row of candles, the lighting achieved is quite warm and even. 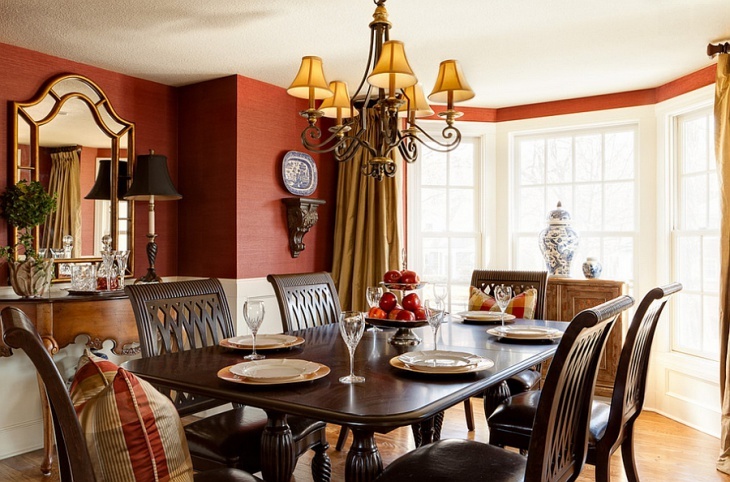 For dining room that follows a strictly rustic décor scheme, warm yellow lighting in ancient looking chandeliers would be a good idea. Various points of illumination here create an even ambiance here, making the décor look smooth and royal. Stained glass for lighting fixtures creates a vibrant illumination. 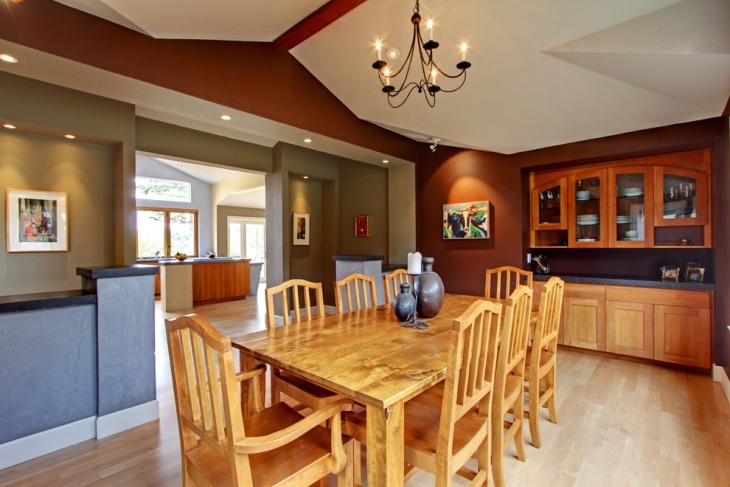 Here, the two bring hanging light fixtures over the dining table is well supported by smaller ceiling lights installed throughout the room. Hanging lights, as already mentioned can be had in a variety of designs and forms. 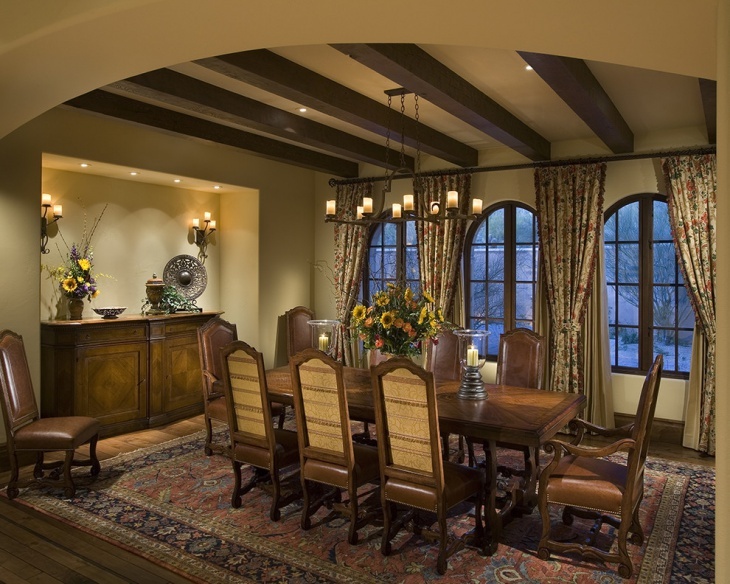 In this example, there are several different hanging light fixtures that create the overall illumination in the room. 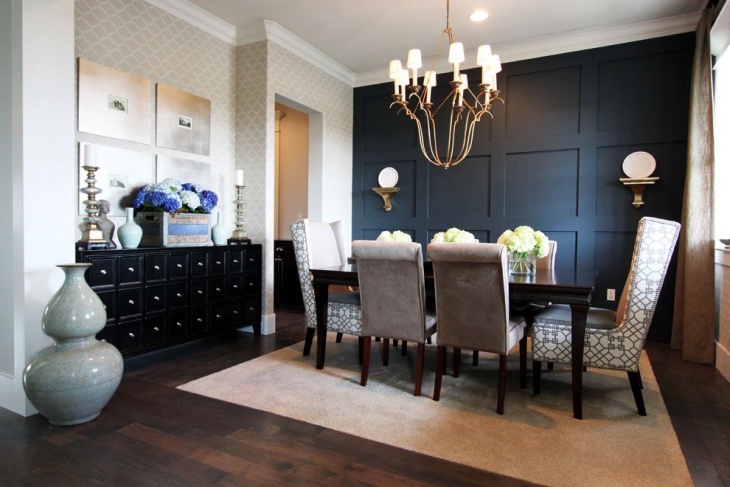 Together, they create a unique ambiance that any homeowner would want. 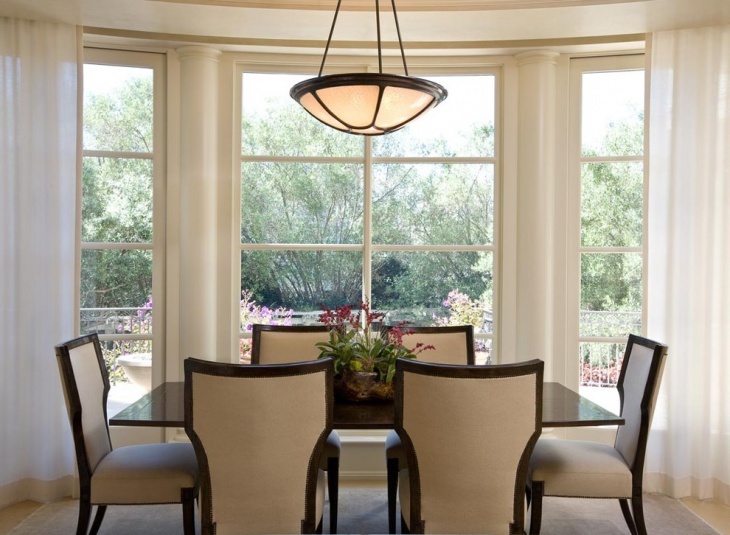 For a rather formal setting, you can choose a more modern form of a lighting fixture. 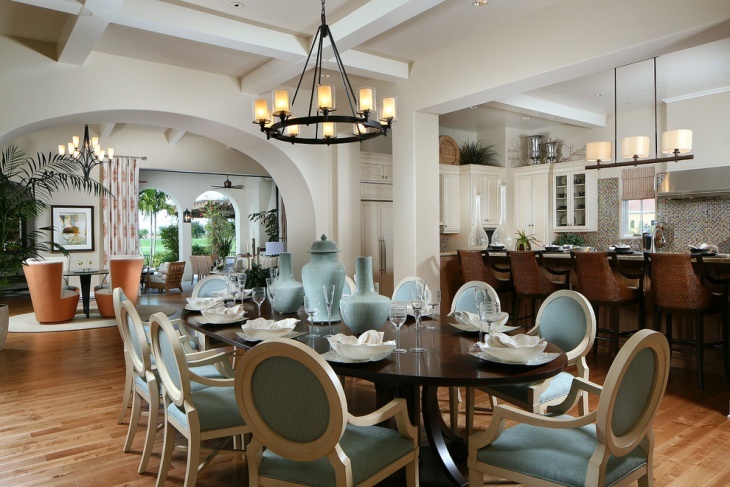 Choose one that gives enough amount of illumination to cover the whole dining space and more. 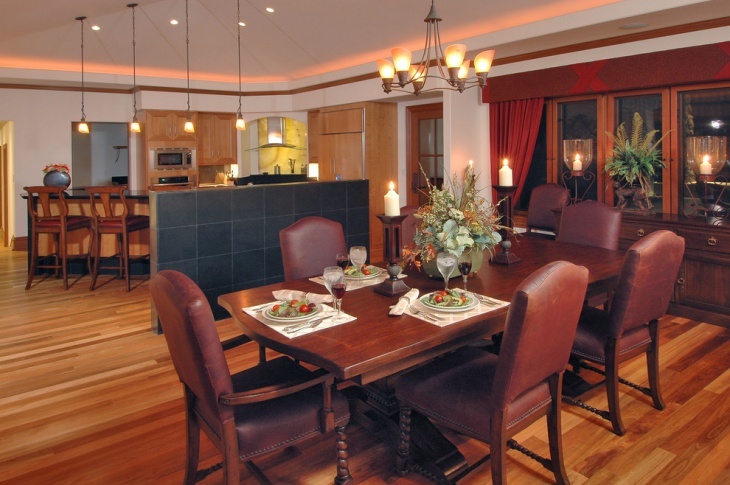 As this example shows, the whole dining area is well illuminated and will be a perfect setting for both formal dinners and fun family time. Again, it is the type of fixtures that makes the difference here. The intricate brass chandelier is among the highlights of decoration here. Placed directly on the dining table, it looks classy. 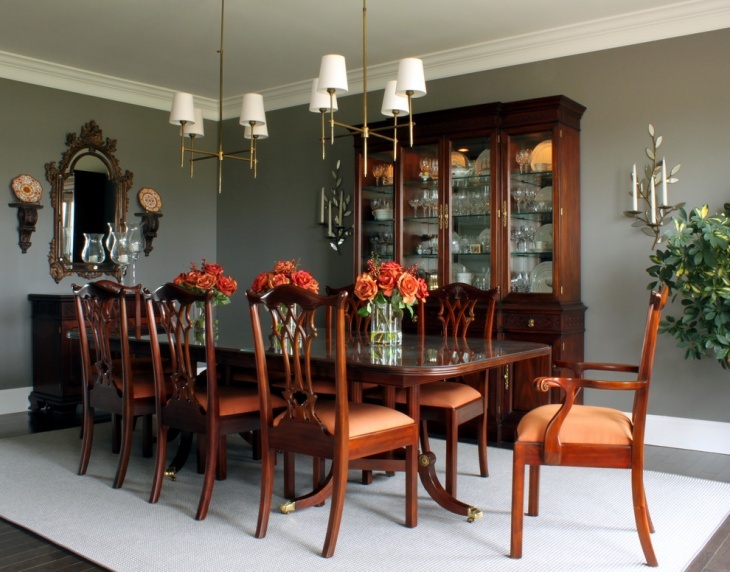 When choosing the lighting fixture for your dining room, you can choose from a variety of designs in your local shop or online marketplaces. From simple and inexpensive products to highly intricate designs, there is no end to the choices you can make. 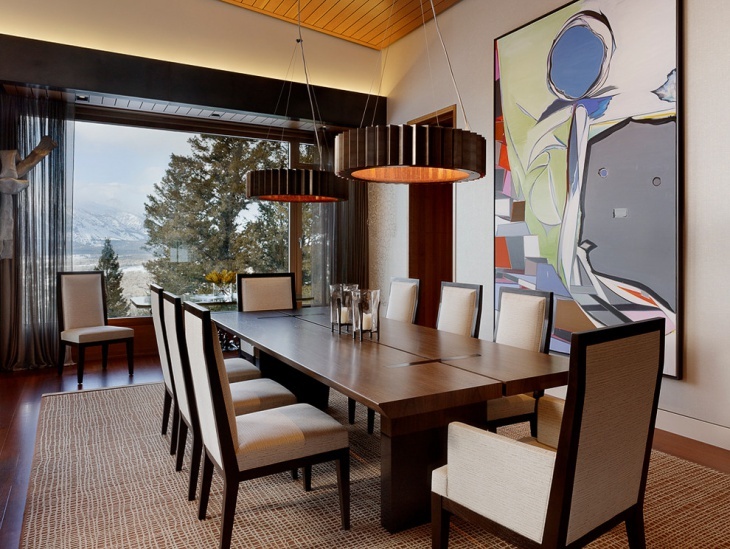 Contemporary dining rooms always do well with arm lighting. The mood is set not just by the color of the lighting but also the design of the fixtures. In this example, the homeowner has been able to establish a really romantic setting using creative chandeliers and LED candles. 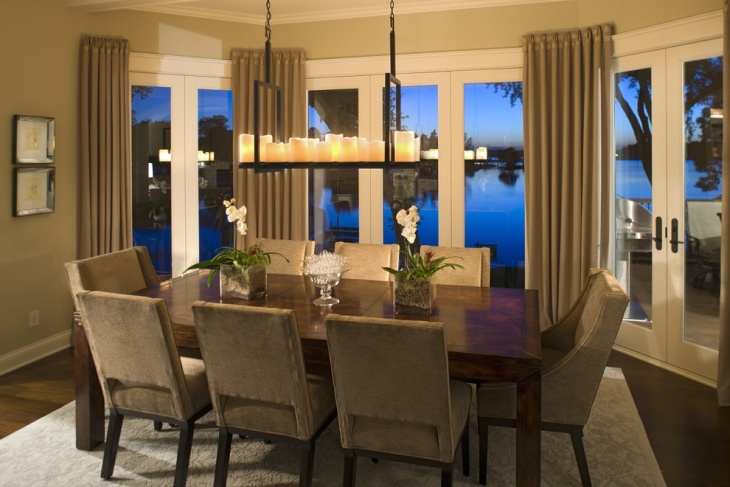 We hope you have found the perfect light fixture idea for your dining room. Whatever you choose, make it relevant to the rest of the décor of the room. Inexpensive but unique buys can add a lot of value to your home.